Using HomeAdvancement is quick and easy. Rather than spending an inordinate amount of time searching for qualified roofers in your area, you can let us do the leg work. After using our online form, up to five contractors will contact you to provide you with a quote for a new roof. HomeAdvancement is dedicated to connecting home and business owners with expert roofing contractors. We provide these contractors with the information they need to create a new roof quote for you. It's not easy to find experienced roofers. 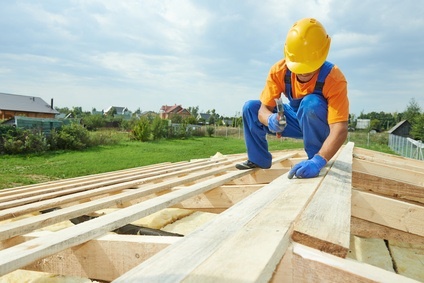 The number of roofing companies is increasing, and they all have their specialty, preferred methods of installation, suppliers, and reputation. We take the work out of it for you, by connecting you with roofers in your area who can perform the job you need done. They will contact you, evaluate your needs, and provide an estimate for you to review. Take your time comparing the estimate you are given, as they can vary widely. If you are unsure, read this article on what you should look for in a new roof quote. Our online form is very simple. There are just a few easy questions to answer. Our comprehensive website can assist you with answering these questions, if you are unfamiliar with roofing. Some of these articles are linked below for your perusal. What kind of new roof do you need? If you would prefer to do your own new roof research first, you can check out our roofer listings by city. These listings include what kind of services they provide, and their new roof material suppliers. Choose the capital of your state, and you will see other cities in your state listed on the right sidebar.